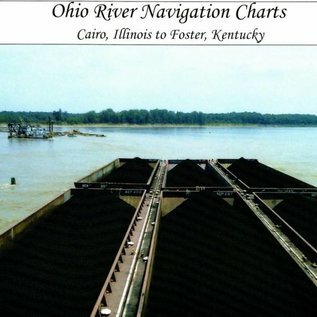 This Ohio River chart covers the waters between Cairo, Illinois to Foster, Kentucky and includes information pertaining to buoys, vertical clearances under bridges, warning to pleasure boaters and fisherman to include restricted and danger area boundaries; locks and dams; signals, lockage of tows; mooring and more. The U.S. inland navigation system consists of 8,200 miles of rivers maintained by the Corps of Engineers in 22 states, and includes 276 lock chambers with a total lift of 6,100 feet. 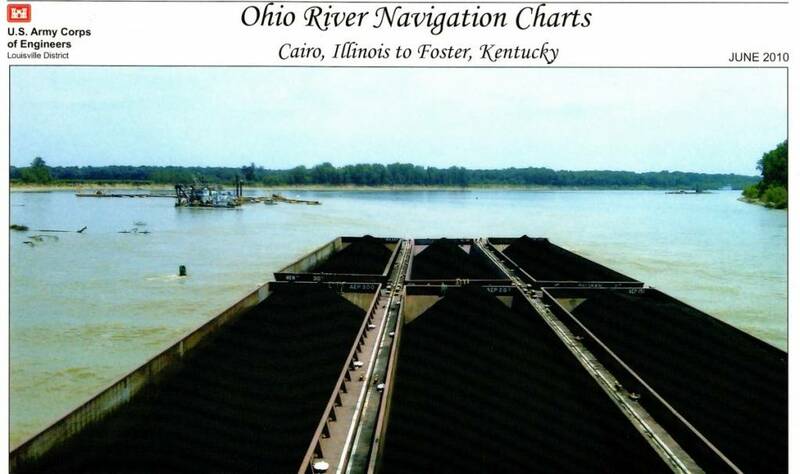 The highly adaptable and effective system of barge navigation moves over 625 million tons of commodities annually, which includes coal, petroleum products, various other raw materials, food and farm products, chemicals, and manufactured goods (Reference Corps Navigation Data Center).